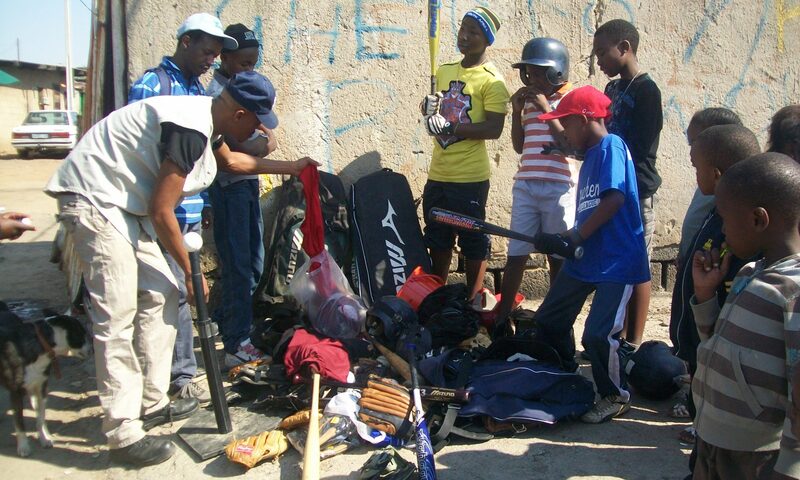 Alexandra Baseball was founded to give underprivileged youth in one of the poorest South African townships a chance – not just to play baseball, but to be safe, learn the value of hard work, compete, and build a better life. Founded in 2007, Alexandra Baseball fields teams in the U13 and U16 age groups of the Gauteng Baseball Federation and has produced some really good talent over the years. Their success was only possible with the generous donations of equipment and cash it has received through various sponsors, starting with the efforts of founding member Edward Orrizzi, who organized several events to support the baseball club, and who still stays in touch with many of the original team members. From 2010 to 2012 Sine Thieme helped put Alexandra Baseball on the map by spreading their story in the expat community and beyond. After that, the Irwin family and now the van Zyl family have helped groom new talent with coaching, organizing food and transport, and securing funding for players who made the regional and national teams.